Thomas Broughton was born at Windsor, NSW, on 10 August 1810, son of Captain Thomas Broughton and Mary, née Stafford. On 21 August 1838, he married Jane, the second daughter of John Tindale, at St Matthews Church, Windsor. They had 15 children, five of whom died in infancy. Thomas Broughton died suddenly in his 92nd year on 12 December 1901. His wife Jane died on 3 February 1909, aged 86. The family is buried at the old Church of England Cemetery at Rookwood. An orphan by age nine, Thomas Broughton became a draper’s apprentice and by 1833 had established himself as a merchant tailor in George Street, Sydney. He purchased a town lot in Castlereagh Street in 1836 and subsequently became a pastoral property owner and slum landlord. He owned Muttama and Gundagai station in the Murrumbidgee district as well as 300 acres called the Artamon estate at Willougby in Sydney. His Sydney residence was Bradley Hall, Broughton Street, Paddington, where his family lived from 1845 to 1898, before moving to Hazelmere, Glebe. Broughton became a magistrate in 1844. He was on the committee of the Benevolent Society of New South Wales, 184346, and the Sydney School of Arts, and was a commissioner of the South Head Road Trust in April 1858. 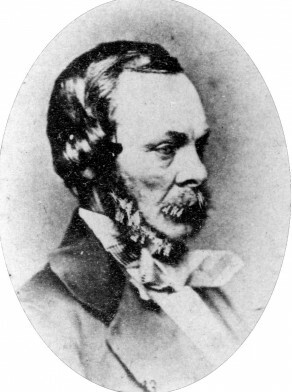 Broughton was elected for West Sydney to the first Legislative Assembly on 14 June 1859 but was not re-elected in the elections of November 1860. In September 1842 Broughton was proposed as a candidate for Macquarie Ward in the first City Council elections. He was elected on 1 November 1842 and was selected as an Alderman. He was elected Mayor on 9 November 1846. He served on the Council until 31 October 1851. Helen Bowd, ‘Broughton, Thomas Stafford (1810–1901)’, Australian Dictionary of Biography, National Centre of Biography, Australian National University, http://adb.anu.edu.au/biography/broughton-thomas-stafford-3072/text4535, accessed 23 January 2013.